You can find essential oils in basically everything – starting with skin treatments and dietary supplements to household cleaners – and for a good reason. They have a plethora of beneficial uses for your health and around the house. But why spend your hard-earned dollars by buying essential oils such as orange oil when you can prepare a batch yourself? Orange oil is just one of the many raw ingredients that you can use to whip up essential oils. It comes from the fruit of the Citrus sinensi orange plant. Also known as “sweet orange oil,” this essential oil is derived from the outer peel of the common orange fruit. We all know of its immune-boosting effects, but today we’ll find out about other benefits, as well. Most people have only come into contact with orange oil when zesting or peeling an orange. But even if you’re not familiar with essential oils, you might be surprised to know that many common products use them. Some detergents, soaps, and kitchen cleaners smell like oranges because they contain traces of orange oil. However, many other household and cosmetic products contain orange oil (or other essential oils) to improve their smell and cleansing abilities. Lotions, acne treatments, shampoos, and other beauty products use organ oil for its antibacterial properties and the fresh scent. You probably have in your household some furniture spray or bathroom cleaners that also smell strongly of orange essential oil. Even though you can also use it as a flavor enhancer for fruit juices and other drinks, there are more natural ways to reap the benefits. Have you ever noticed that when you zest an orange’s skin, there’s a slight amount of oil leaching out? That’s the raw ingredient used to make orange essential oil. A strong mix of an orange’s active ingredients – limonene and myrcene – is responsible for the oils’ healing abilities. Limonene is known to be a powerful antioxidant that reduces inflammation and radical damage that can lead to various diseases. According to studies, orange oil can fight cancerous tumors; kill bacteria and pathogens; ease anxiety; increase circulation; improve complexion; and decrease hypertension. Orange oil has been a popular remedy during centuries past as an all-natural method for boosting the immune function and fighting various ailments. Mediterranean, Indian, and Chinese people have been using it for hundreds, if not thousands, of years. Orange oil is known to treat conditions like colds, flu, poor digestion, depression, chronic fatigue, and low libido. With a few tools and following some simple steps, you can create orange oil at home. You can use it for a variety of purposes (we’ll discuss those later). Let’s get to work! Gather your materials. To make orange oil with this method, you will need 20 or more oranges, a mason jar, a zester and some alcohol. Vodka works best for extracting orange oil because it won’t overwhelm the orange scent in the finished product. Remove the orange peels. Limonene is largely found in the peel so that’s what you need to work with. You can either use a knife to cut the peel or a zester to grind it off. Avoid the pith; it will make your mixture bitter. Dry the peels. Place them on a paper towel in direct sunlight until they are dry. This might take a couple of days, depending on the humidity in your area. Smaller pieces will dry faster (1 in or 2.5 cm). Grind the peels. Place the dried peels in a food processor and grind them until they are somewhat coarse. Do not override your peels, because they can lose limonene. Cover the peels with alcohol. Place the ground orange peel in a mason jar and cover it in alcohol. Once you have covered the grinds, vigorously shake the jar for several minutes. Let the mixture sit. Two or three days should be enough, but you have to keep shaking the mixture two or three times a day. The longer you let it sit and the more you shake it, the more oil you will get in the end. Strain the mixture and let the alcohol evaporate. A cheese cloth or a coffee filter should do the job. Strain the mixture into a bowl, cover it with a cloth or paper towel and let it sit for a few days. After the alcohol has evaporated, you are left with pure orange oil. Place it in a small container with a lid and use it as necessary. 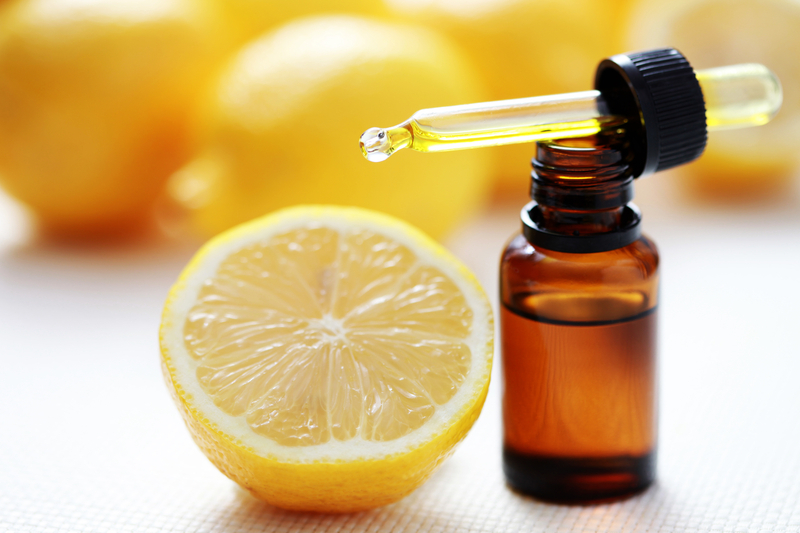 Immunity Enhancer – Limonene can do wonders against oxidative stress. Orange oil has been useful even against cancer, thanks to the effectiveness of monoterpenes as chemo-preventive agents against tumor growth. Kitchen Cleaner – Orange essential oil has a natural fresh and citrus smell that will fill leave your kitchen smelling clean. Also, when diluted, it’s great for cleaning appliances, countertops, and cutting boards without bleach or harsh chemicals. 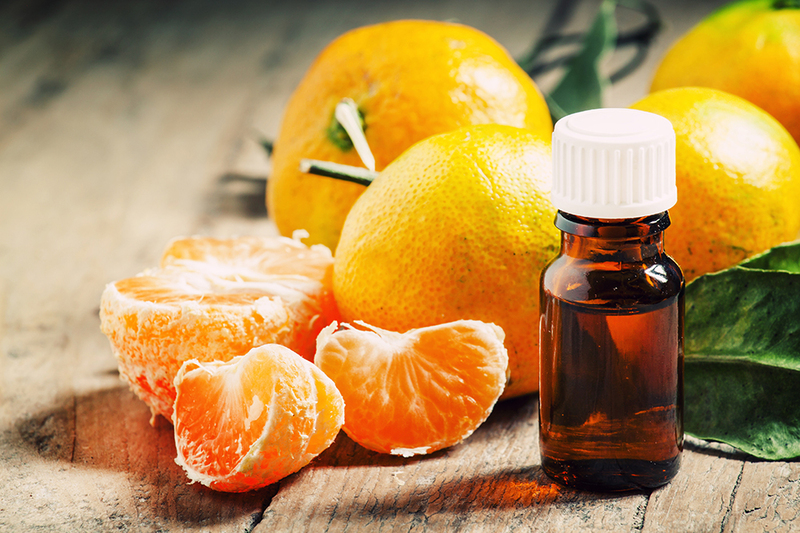 Mood Booster – Research showed orange oil can have uplifting and calming effects. Just diffuse it in your home, or add some to your shower wash. You can even inhale it directly to lift your mood and become more relaxed. The smell of orange essential oil is directly connected to the brain’s olfactory system; that’s why it can evoke quick emotional responses. It’s a great scent for boosting your mood in the morning or calming your nerves at the end of a long day. Acne Fighter – Orange oil is highly effective as a home remedy for fighting bacteria and skin inflammation that could lead to acne. Circulation Booster – Orange essential oil works great as a natural remedy for high blood pressure. It can fight hypertension, improve blood flow and thus prevent heart disease. Thanks to its blood-dialing abilities, it may also lower PMS-related symptoms, improve low libido, and reduce headaches. Mixing orange oil with a carrier oil will make for a great homemade massage oil. Rub it into the abdominal area for improved blood flow. Orange oil is a miracle ingredient – it has so many more benefits and uses than the ones we talked about today! Whatever you choose to try, keep in mind that relaxation is just a dab of essential oil away!